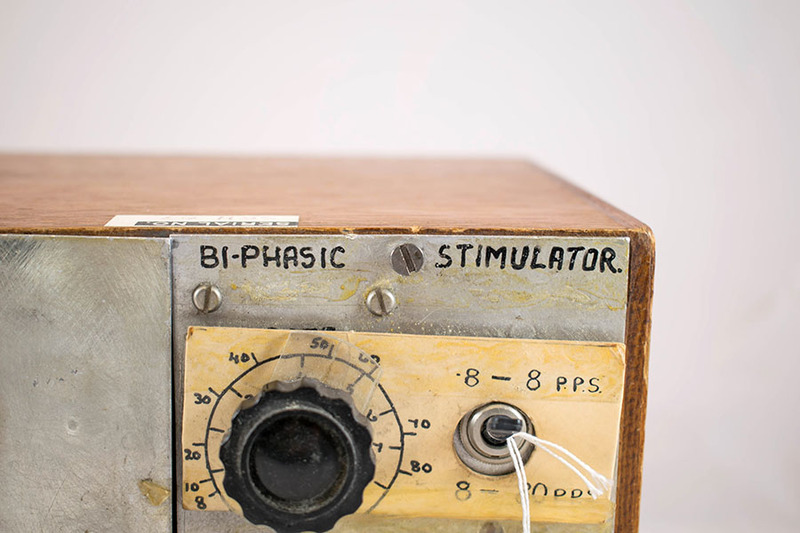 This bi-phasic stimulator was owned (and probably built) by the neurologist James Sloan Robertson. Although the exact purpose of the machine is unclear, it was most likely used during surgical treatment of patients suffering from epilepsy. An electrode would be attached to the machine, which would help the surgeon to locate a lesion for removal, and also ensure that an undamaged part of the brain was not about to be removed. 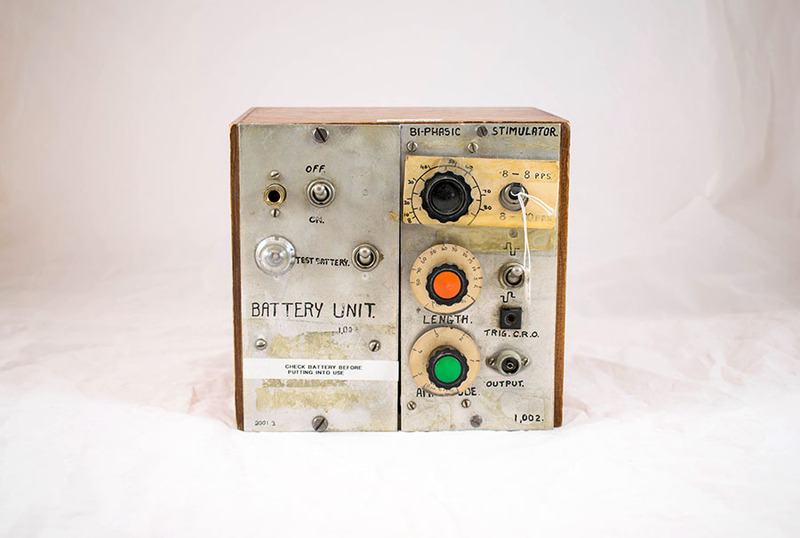 The device is clearly handmade, and is most likely an early prototype or precursor to machines used in later deep brain recording techniques. 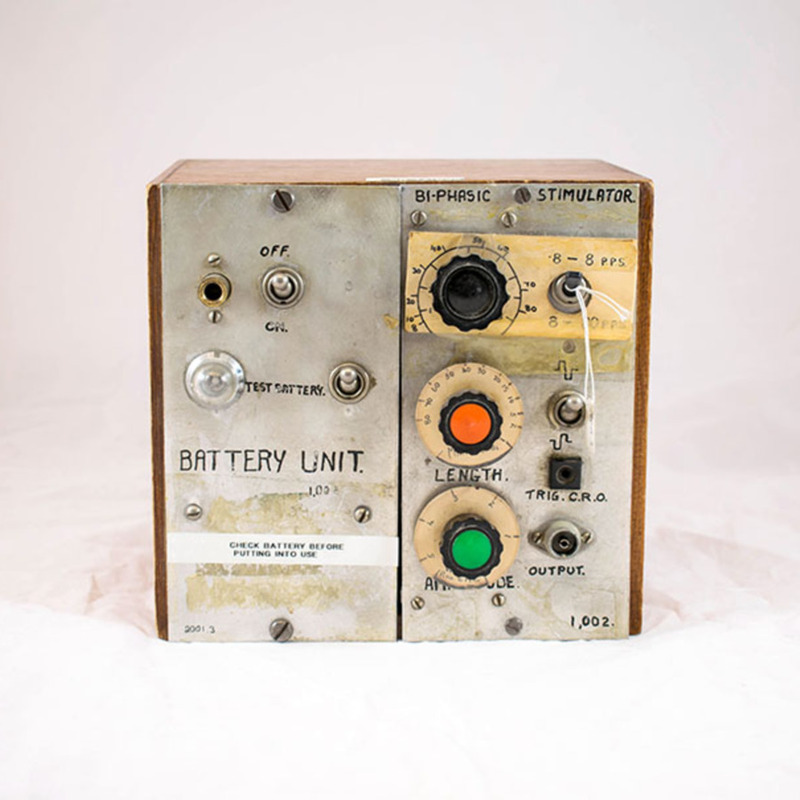 Robertson; James Sloan Mutrie (1905-1978); neurosurgeon, “Bi-phasic Stimulator,” Heritage, accessed April 22, 2019, https://heritage.rcpsg.ac.uk/items/show/58. 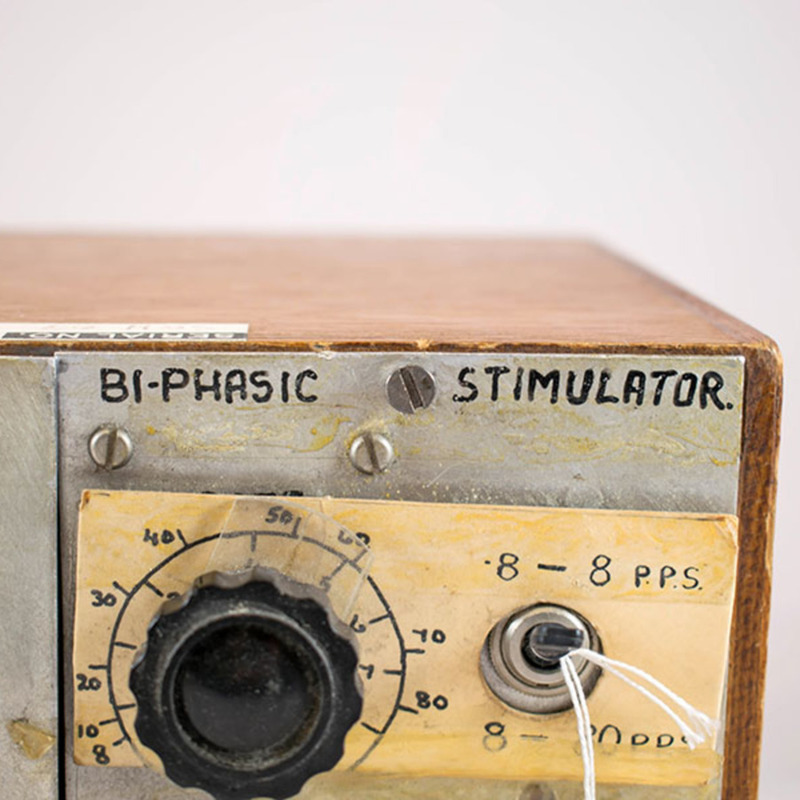 Description: This bi-phasic stimulator was owned (and probably built) by the neurologist James Sloan Robertson. 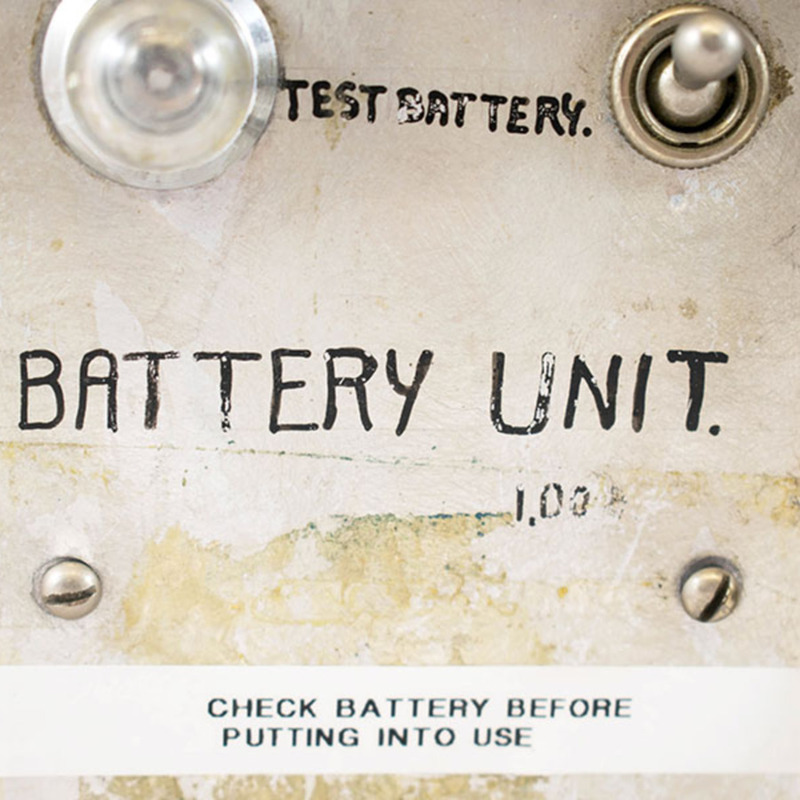 Although the exact purpose of the machine is unclear, it was most likely used during surgical treatment of patients suffering from epilepsy. An electrode would be attached to the machine, which would help the surgeon to locate a lesion for removal, and also ensure that an undamaged part of the brain was not about to be removed. 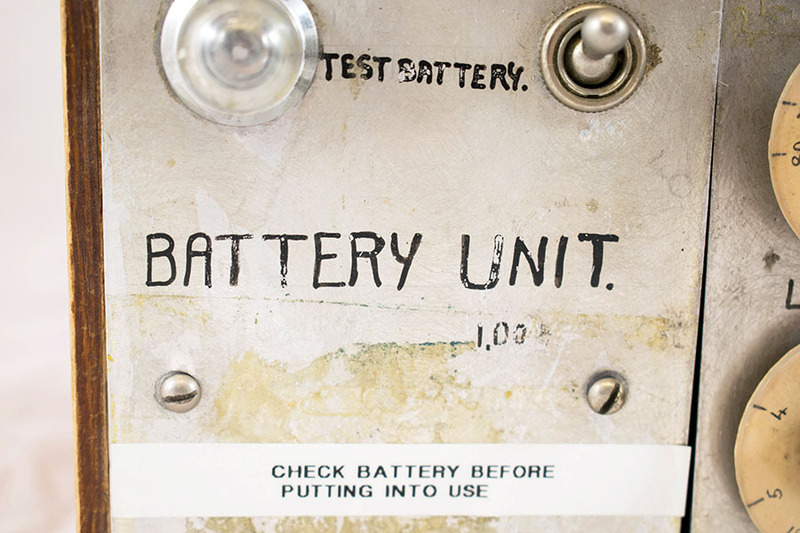 The device is clearly handmade, and is most likely an early prototype or precursor to machines used in later deep brain recording techniques.